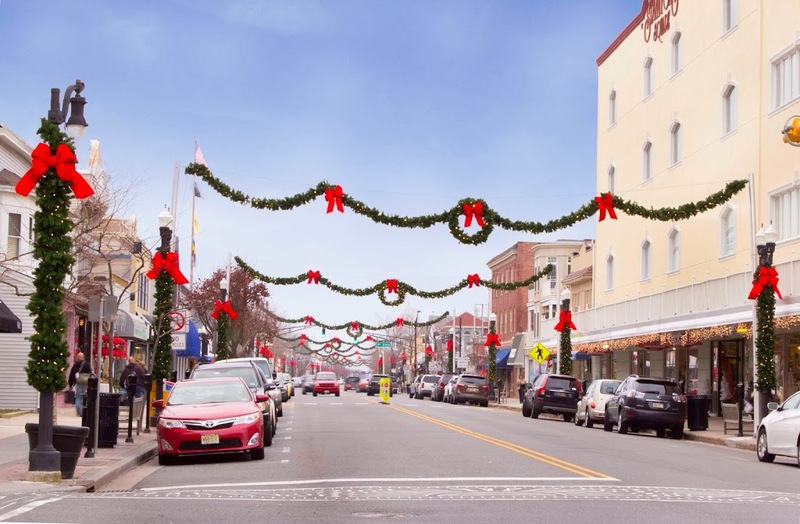 In 2012, Downtown Decorations was contacted by Ocean City, New Jersey to create a full holiday décor package for the extremely popular beach destination. The city has made numerous top 10 and best of lists over the years so we knew we had to come up with a design that would really impress. 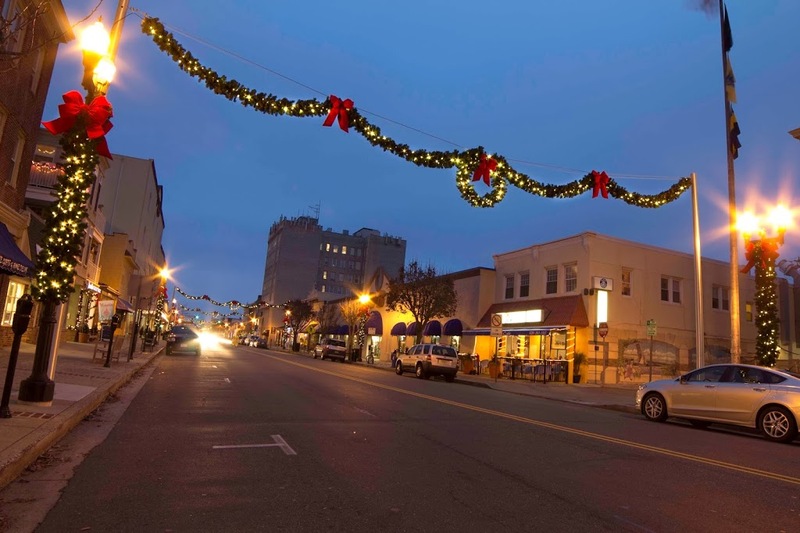 The city offers miles of beaches, one of the most well-known boardwalks in the world (stretching over 2.5 miles), a quaint downtown shopping and dining district, and in this writer's opinion, the best pizza on earth - Manco & Manco. 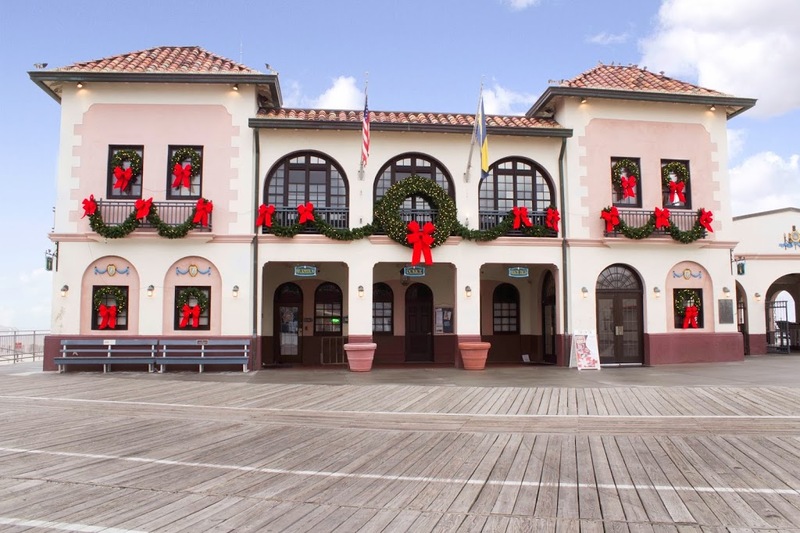 Actor James Stewart spent his summers in Ocean City as child and actress Grace Kelly was a summer resident, living at a house on 26th and Wesley. 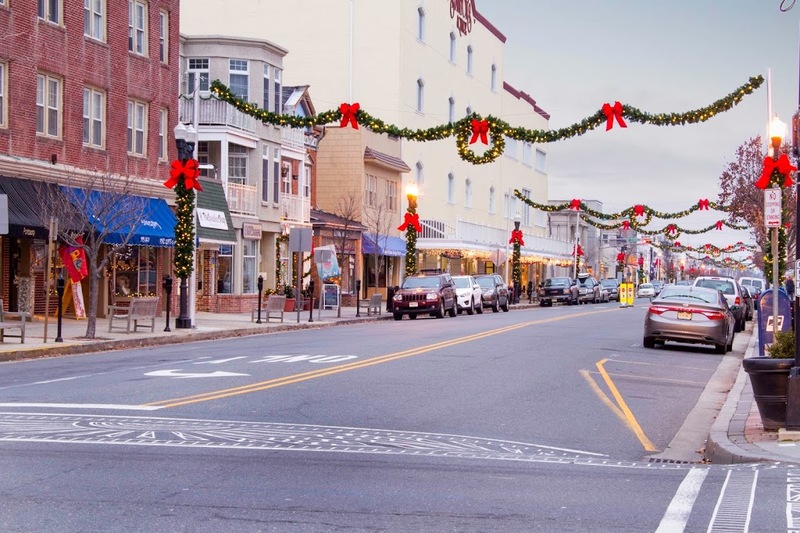 The beach town has been popular since the boardwalk first opened in 1880 and although the area is known as a summer vacation spot, business continues to boom on Asbury Avenue throughout the winter. 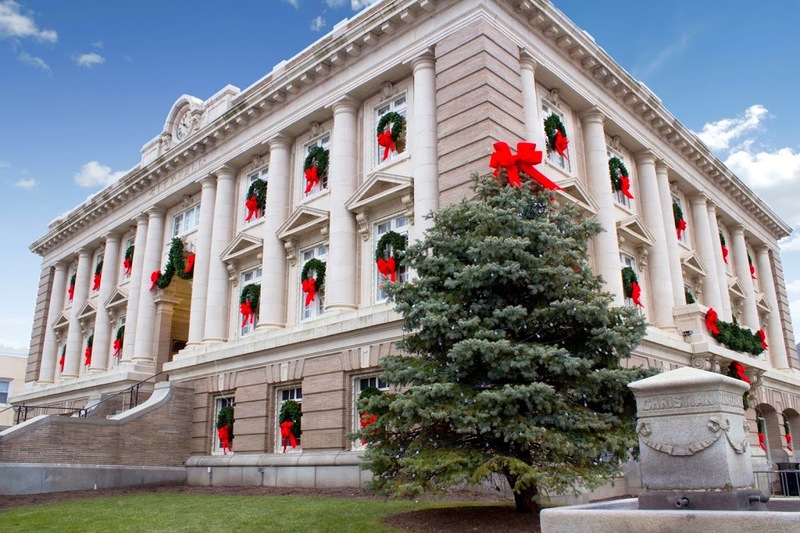 Locals mostly occupy the town during the colder months, but Christmas and New Year’s draw a big influx of visitors. 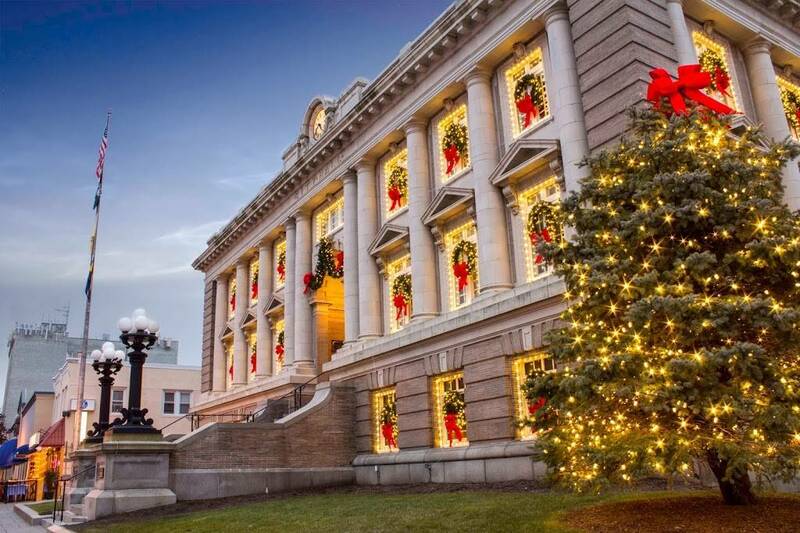 This is why the city contacted us, the holiday décor experts, to design a dazzling displays of lights and decorations for the holiday season. 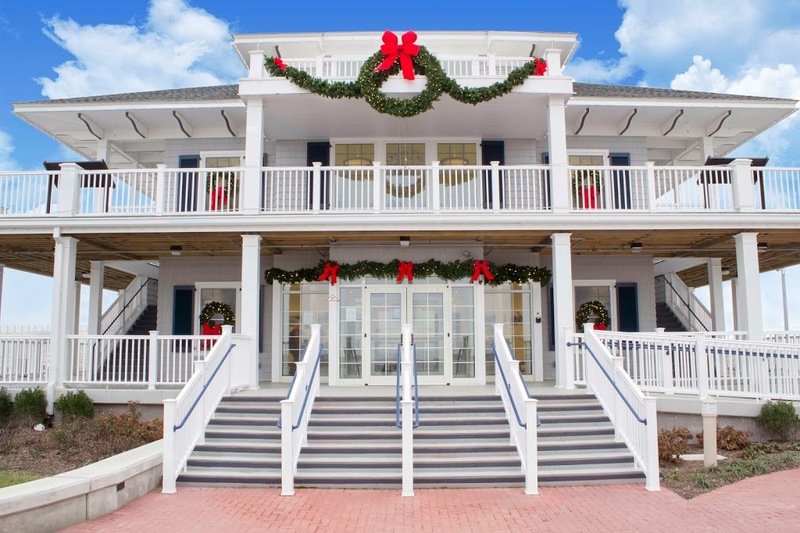 When creating the décor package, we focused on four main areas of the city – The Ocean City Music Pier, the brand new Visitor’s Center, Asbury Avenue and City Hall. 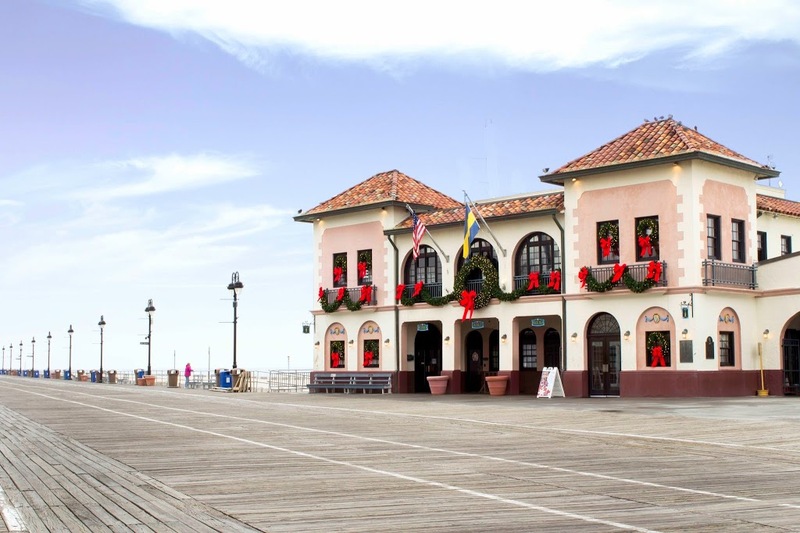 Ocean City Music Pier: The pier is located near the middle of the famous Ocean City boardwalk. Our designers came up with a classic look that matched the timelessness of the boardwalk. 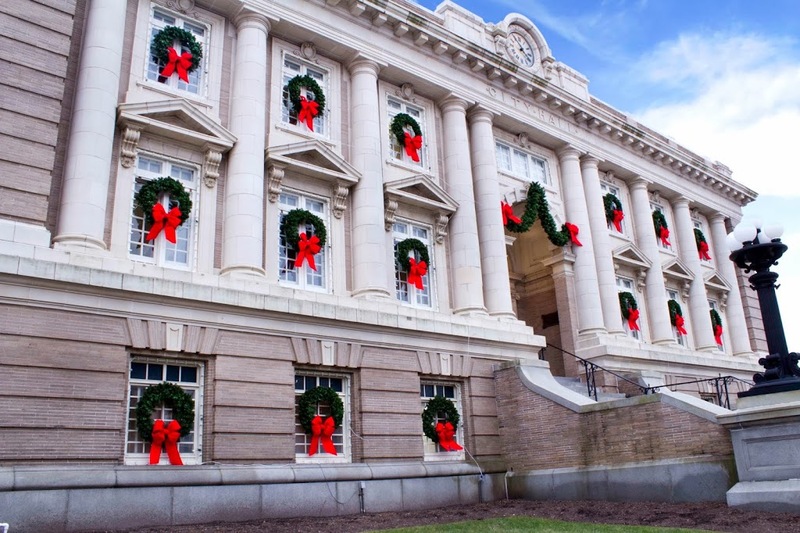 Each of the small front windows of the building feature lit wreaths with stunning red bows. 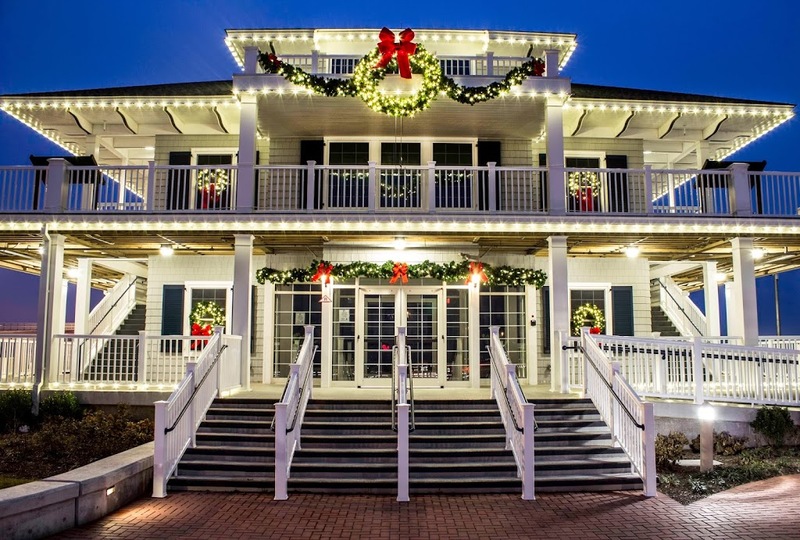 We hung pieces of lit garland across the railings of the balconies on the second floor and added more red bows throughout. To finish it off, we added a huge lit wreath in the middle of the building. 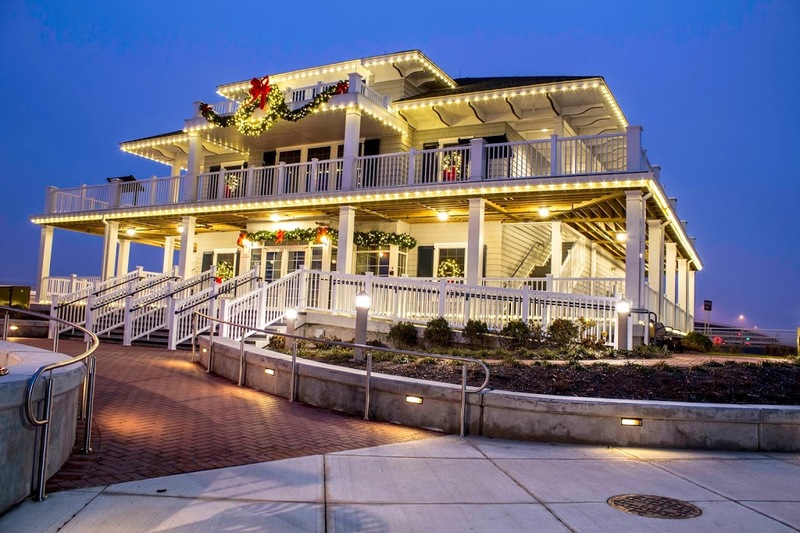 Visitor’s Center: The brand new building is the first thing you see as you are crossing the bridge into Ocean City. We wanted the décor for the Visitor’s Center to really pop so visitors would get a great first impression as they enter the city. 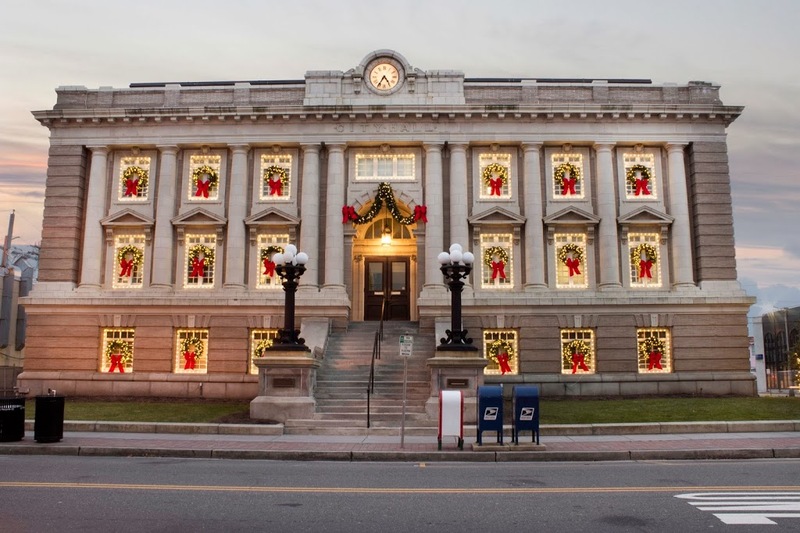 We created a design that featured lights around the entire trim of the top, middle and bottom of the building. We think it complements the white, traditional style of the building. 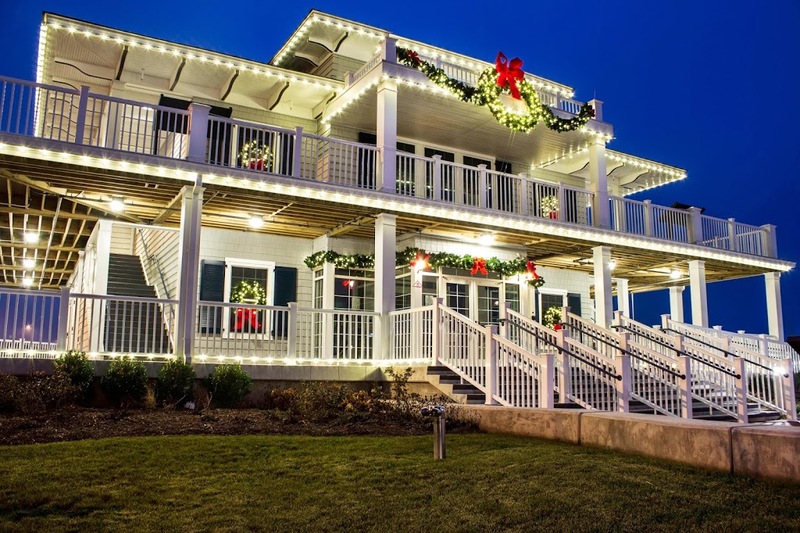 We then added lit wreaths in the windows, lit garland hanging above the balcony and the entrance, a huge lit wreath on the top balcony and ornamented everything with red bows. Asbury Avenue: This is the main area where visitors and locals gather during the winter months, so we created a design that is visually pleasing and welcoming. We started by designing a cross street skyline. The skyline features lit garland with red bows and a lit wreath in the middle. In total, there are 18 skylines going across Asbury Avenue. Next, we used more premium garland to decorate the light poles in the area. We added lights throughout the garland and put red bows on top. 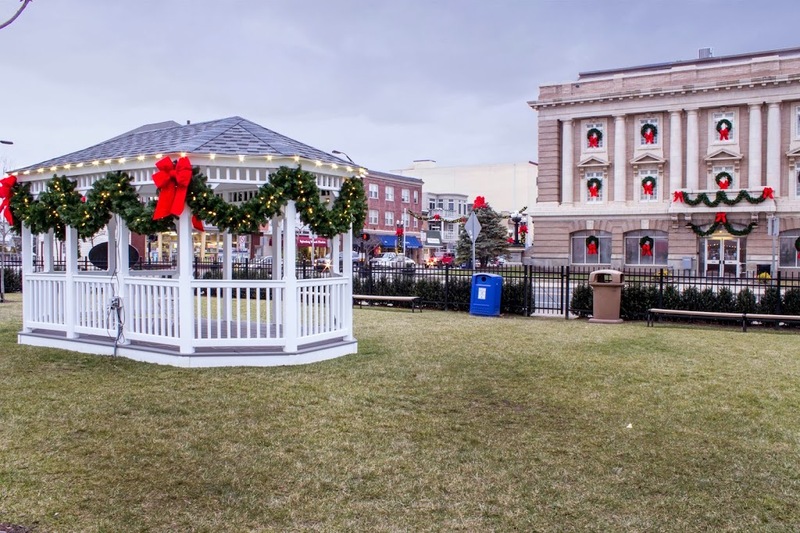 Finally, we added some lit garland and bows to the gazebo in the small park located on the street. 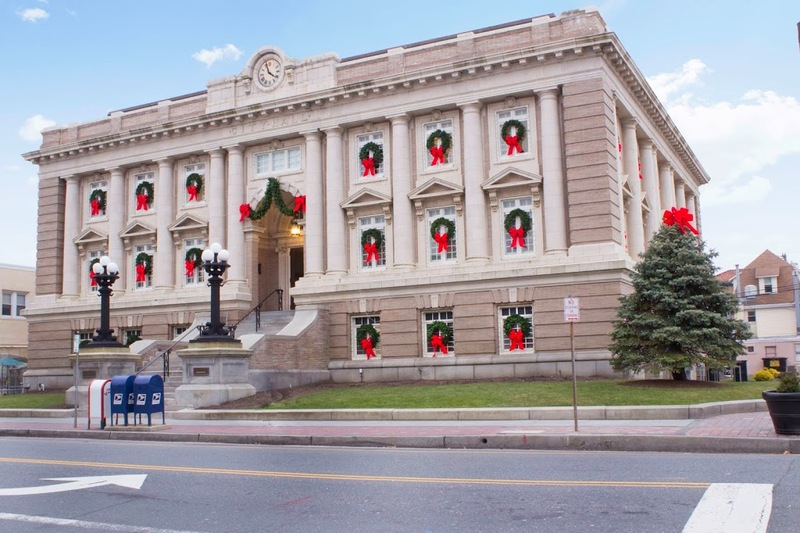 City Hall: This building is located on Asbury Avenue in the main downtown area. We went with the same overall design scheme that is featured throughout the other areas in Ocean City. 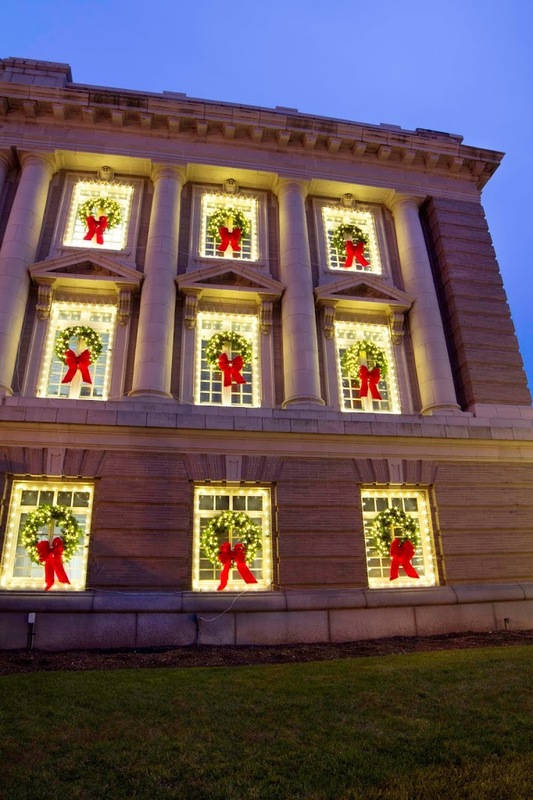 We lined the building’s front windows with lights and put a lit wreath with a red bow in the center of the windows. 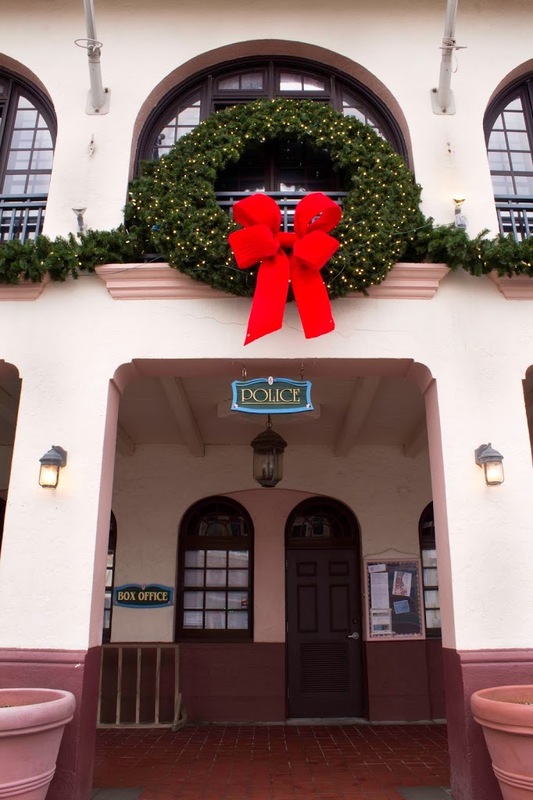 We also hung a piece of lit garland above the main entrance and added a bow on each end. 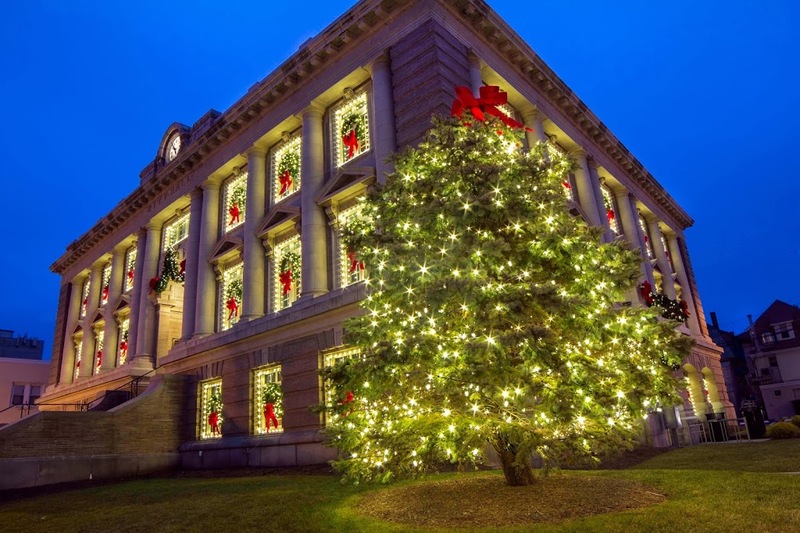 We then added some lights and a bow to a giant live tree that is located directly next to the building. 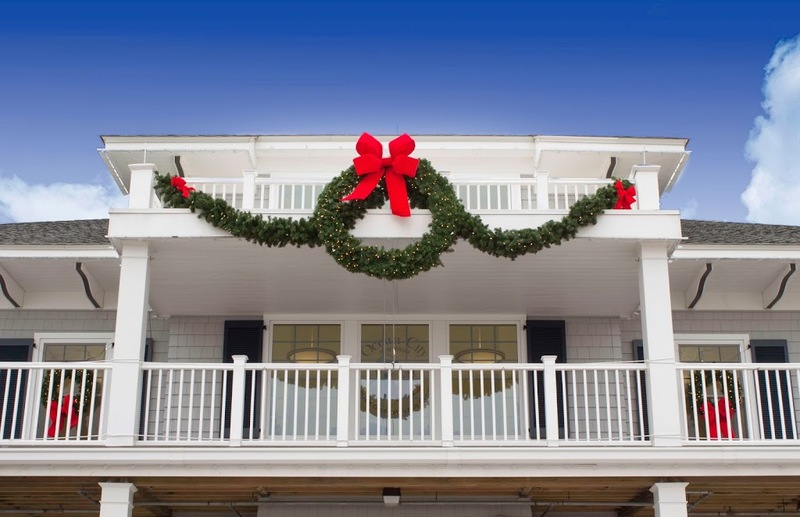 We think the simple yet elegant design of lit garland, wreaths and red bows gives the definitive beach town a majestic holiday look. To see more photos, click on the read more button.